Lionel Gilbert moved back and forth between abstraction and figuration, at once describing specific objects and presenting flat, unrecognizable forms. The artist, born in 1912, was a prolific painter from the nineteen-thirties until his recent death. For years, Gilbert worked as a mural artist and an illustrator, creating images that not only represented reality, but documented history. In the sixties, Gilbert’s direction shifted: no longer using the paint to tell stories, Gilbert began to explore what the paint itself—its materiality, color—can reveal, independent of its descriptive capacity. The works here on display call to mind Matisse, Braque, and Leger in their cubist sensibility and handling of space. Lionel Gilbert was born in Newark, New Jersey in 1912. He began his artistic training very early, in the Saturday children’s program of the Newark School of Fine & Industrial Art in 1924. In 1933 he graduated from the same school and moved to France for 5 years, where he studied both privately and at L’ Academie de la Grande Chaumier. Upon his return to the United States he became part of Chicago’s W.P.A. program creating large murals in many public buildings in the US. For many of the following years, he worked as an illustrator in such places as Cleveland and New York City. During the war he was sent to England as an official U.S. Air Force artist to depict various aspects of Air Force life in and around air force bases. In 1965 he became a full-time painter, showing his work with Alonzo Gallery in New York City through the early 1980’s. As well as an artist, he was also a dedicated teacher, and taught painting throughout his career. He taught art at the 92nd Street Y Art Center, from 1967 to 2002, and offered classes for seniors since 1998. He passed away in 2002 in NYC. 1924 Began studying at the Newark School of Fine & Industrial Art in their Saturday program for children. 1933 Graduated from the Newark School of Fine & Industrial Art, Newark, NJ. 1933-37 Studied in Paris at L’Academie de La Grande Chaumiere and privately with Salcia Bahnc and Suzanne Valadon. 1937 Moved to Glencoe, IL. 1938-40 Became part of Chicago’s W.P.A. (Works Project Administration) program in its easel painting division. Worked as an easel painter and taught painting and drawing at the Winnetka Community Art House through the W.P.A.’s program. 1940-41 Studied with Laszlo Moholy-Nagy at the Chicago School of Design. 1942 Worked in Chicago as a professional photographer and illustrator for the Kling Studios. 1942-46 Relocated to Cleveland, OH to work as an illustrator for Kling’s studio in Cleveland. 1946 Moved to New York City as a freelance illustrator. Illustrations were published in numerous magazines including American Magazine, Women’s Home Companion, Family Circle and Collier’s. 1955 Was appointed a United States Air Force artist and was sent to England to paint pictures depicting various aspects of Air Force life in and around air force bases in England. 1955-57 Studied painting with Sam Adler at New York University. 1957-64 Moved to Toronto, Canada and was head illustrator for Art Associates. 1964-65 Moved to New York City and continued to work as an illustrator for the Charles Cooper Studio. 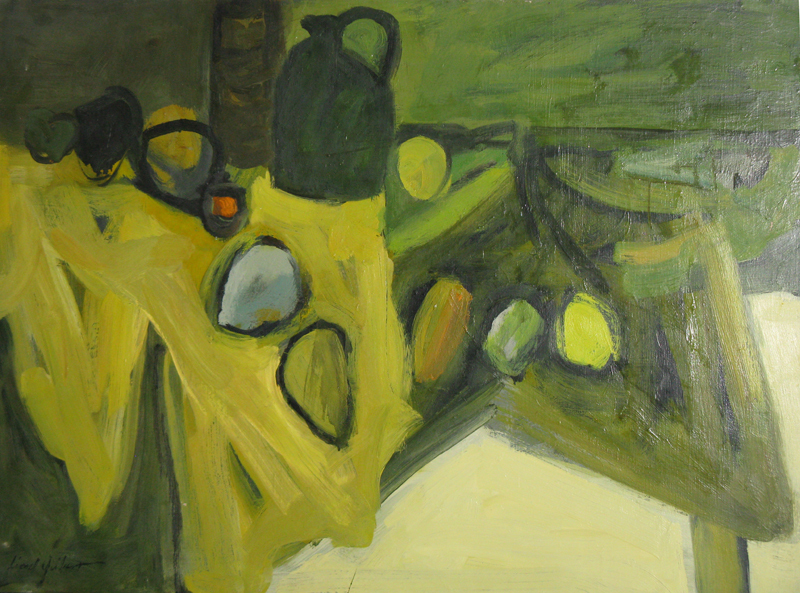 1965 Began painting full-time and giving private art lessons; ceased working as an illustrator. 1968 Became affiliated with Alonzo Gallery and had numerous solo and group exhibitions at the gallery from 1968 through the early 1980’s.